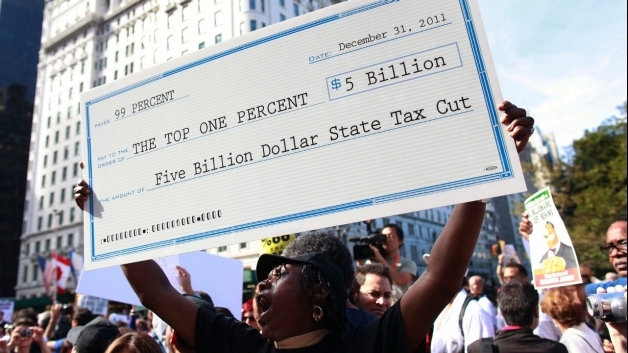 Income Inequality Threatens Capitalism- Who Said That- Surprise! You might be surprised but here is the direct quote from non other than Andrew Carnegie who was one of the first capitalists, along with John D. Rockefeller Sr, to become American billionaires. Here is Carnegie’s exact quote from 1889. You might not think that view was espoused by the self-made bobbin boy who came to America and worked his way into the founding of U.S. Steel! Carnegie and John D. Rockefeller Sr. competed daily to see who would become the wealthiest magnate in America! Rockefeller with Standard Oil may have edged out Carnegie for the title but the great irony is that both men became two of the world’s greatest philanthropists benefiting nearly every conceivable worthwhile socially important endeavor. However, as both biographies clearly reveal, it was not pretty along the way. Just ask Ida Tarbell! I write this post today after reading in the New York Times the latest government figures on the distribution of wealth in America . It ties in perfectly with my Occupy Wall Street post of earlier this week. In that post I commended to you Gretchen Morgenson’s Reckless Endangerment and Tom Friedman’s That Used To Be Us. Why Carnegie and Rockefeller? 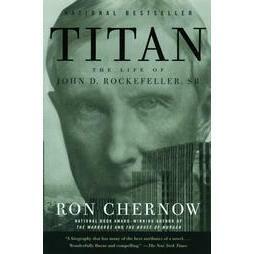 If you want a solid historical perspective on the accumulation of wealth by two of America’s richest men , Ron Chernow’s TITAN The Life of John D. Rockefeller Sr. and Peter Krass’s CARNEGIE offer the reader tremendous insight. Never before in the American capitalistic system had so much wealth been accumulated by just two industrialists. Both books are complete in their historical perspective of the personal lives of Carnegie and Rockefeller and admirably translate their personas into their business and later their philanthropic philosophy. As I have read the daily accounts of Occupy Wall Street my memory clicked upon these two most worthy biographies. They provide a meaningful and necessary historical backdrop to the discourse of today. 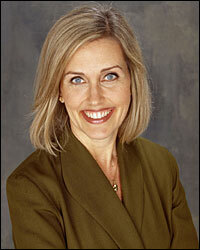 Chernow’s book was published in 1998 and Krass’s work in 2002. If you have the time, these are wonderful back to back reads. By chance , I read TITAN first and having done so would recommend that order. Each is of course deserving of a stand alone read. Anyone who questions the “why” in the Occupy Wall Street movement that is sweeping the nation and the world need only pick up a copy of Reckless Endangerment by Gretchen Morgenson and Joshua Rosner! ( See Gordon’s Good Reads July 16, 2011 blog post.) The book did not predict that folks would be manning the barricades by October but I would assume the Occupy Wall Street movement came as no surprise to these two excellent reporters. Reckless Endangerment is a must read for all who are trying to put Occupy Wall Street in context. The mantra ” We are the Ninety-Nine Percent” will become abundantly clear after reading Morgenson’s and Rosner’s work. Nor will the Occupy Wall Street movement come as any surprise to readers of Tom Friedman’s and Michael Mandelbaum’s That Used To Be Us, How America Fell Behind in the World We Invented and How we Can Come Back. That Used To Be Us places in focus the circumstances leading up to the economic and social turbulence in America. Global warming is a major subject in That Used to Be Us, and the twist is that the authors see global warming as a huge economic opportunity to get out in front of new technology with inventions and production that can lead America out of the Great Recession and place its future on a sound economic growth pattern. The authors urge America to seize the green energy initiatives being undertaken in China and make them America’s own. Stop exporting our science and technology at our own expense, reference the authors. Great books are timeless and many have been posted on Gordon’s Good Reads. Reckless Endangerment and That Used To Be Us my not go down in the annals of literature as timeless or iconic but in 2011 they are certainly timely and both add greatly to broadening ones understanding of this critical American crossroads. My blog of last week on That Used To Be Us, promoted by last Sunday’s New York Times Op-Ed by Tom Friedman was written with 100 pages of the book left to read. The finish line is an eye opener no matter what your politics. 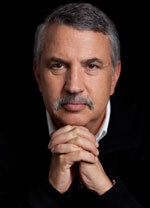 I am 100 pages short of finishing Tom Friedman’s and Michael Mandelbaum’s new book That Used To Be Us. How America Fell Behind In The World It Invented and How We Can Come Back. However, after reading Tom’s opinion column in today’s ( October 9, 2011 New York Times) I feel compelled to get the word to you right away. The column title Where Have You Gone Joe DiMaggio? poses the conundrum that Friedman and Mandelbaum answer in their carefully crafted and researched book. Anyone who is vested in figuring out what is wrong with America ( aren’t we all? ), and what we need to do to fix it, is encouraged to read this book now. THAT USED TO BE US is about the important national dialogue being played out in print, over the air, in Washington DC and now in the streets! It will not go away. The book is not about philosophy but rather solutions! This quote from Friedman’s New York Times Op-Ed truly sets the agenda for That Used To Be Us. All of Friedman’s work is a reasoned approach to identifying problems and pointing to proven and in many cases obvious solutions. Michael Mandelbaum adds to the excellence in this new volume. Both authors spare no individual, political party or company in bringing issues to the feet of those responsible for our problems and giving due credit in recognition of wisdom. When I have finished the last 100-pages I will be even more impressed but having completed 256 and today reading Tom’s Op Ed I am compelled to post this blog today!